Vietnam Travel Blog » Vietnam Destinations » » Do You Qualify For EU Residency? Do You Qualify For EU Residency? Soon after the announcement that Britain have chosen to leave the European Union, native and non-native citizens living on the both sides of borders in the UK and other European countries are surprised and worried about their uncertain future. Things were totally different before this eventful referendum. Individual possessing EU citizenship are freely allowed to work and travel across the bloc. Besides this, they also have the privilege to work and set up their businesses anywhere in the continent with complete access to public services of health and education like a native civilian. As the UK has decided to leave the union, British citizens who have settled down in other states are expected to lose these benefits. Around 1.3 million UK citizens are living in other states at the time of Brexit. Among these states, Spain is known to possess the largest number (319,000) of Brit citizens, followed by Ireland (249,000) and France (171, 000). How It Affect EU And UK Nationals? After effects of this decision to leave the European Union, totally depends on the measures UK implement on EU nationals living and working there. If measures specifically target these workers, UK nationals accommodating in another state will be facing retaliation. In short, Brexit will make Brits not more than an illegal immigrant. 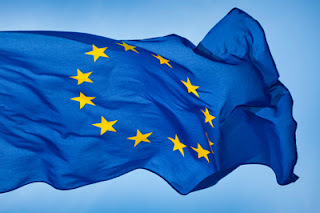 Perhaps you are facing the same situation and anxious to maintain EU Residency in order to remain privileged with the same benefits, or you simply want European passport here are few steps you should follow to see your eligibility. The best way to regain your legal rights to live in the states of this group is to check your familial roots with EU states. Geographical and cultural closeness make Ireland a good choice for most of the Brits looking to find an ancestral connection with the land. Conditions and rules are same like descent citizenship programs offered by other countries. If you are lucky to born there or any of your parents or grandparents were born there, then you are eligible to gain EU residency with this right. Moreover, if your parents used to live there as a legal resident, you can still eligible to apply. Even if anyone of them can become native naturalization you can submit an application after completing necessary paperwork at Foreign Births Register. If you don’t have potential ancestral links with the territory, you can prove your eligibility after showing the right bank balance. The economic citizenship allows everyone to obtain citizenship after investing a specific amount of money in real estate and infrastructure project. For instance, you don’t possess the right bank balance, you can still become eligible to obtain residency via an upcoming offer named as Golden Visa. This kind of program is usually offered by states that were badly affected by an economic recession. Alternatively called as visa for investments, the program issue visas to foreign investors that allow them to live and visa-free travel (but not work) across the 26 EU states excluding the UK. Whereas some of the countries offering Golden Visa also allow candidates to apply for permanent placement after completing the duration of four to six year in the territory. Summary: Whether you belong to the United Kingdom or any other territory across the world, you are eligible to enjoy residency in European states as long as you prove your eligibility.